Walking around cities has become an activity that I enjoy doing. There’s a certain joy that exploring places on foot brings. I usually have my trusty point-and-shoot with me to photograph random city scenes. Towering skyscrapers, pocket parks, and upscale shops. BGC as seen from the flyover leading to Kalayaan. This photo was taken last year. I was fat chubby for more than half of my life. 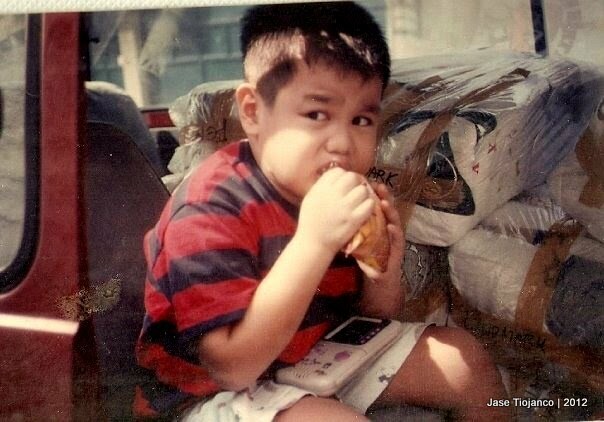 I was that fat kid who always had something to eat at hand. I was that fat kid who’d fight with his brothers over the last slice of cake. I was that fat kid whom the aunts adored so much. And yes, I was that fat kid who had to endure a lot of teasing due to his extra heft. I’ve been trying to excel in photography for quite a long time already but I really don’t seem to possess that photographer’s eye. Also, I do not have a dSLR. I only have my trusty little point-and-shoot. Still, those things doesn’t deter me from trying. Whenever I have the chance, I try to take artsy photos. I seek beauty in the most random of things and capture them digitally. The photos above were taken when we visited Sta. Rosa, Laguna — a city nearby Metro Manila. J. Co Donuts and Coffee is finally here in Manila! Ever since late last year, I have been hearing and reading raves about a new Japanese restaurant in the Mega Atrium. Yabu, the House of Katsu, is a restaurant whose specialties are the Japanese favorite Tonkatsu and the other variations of katsu or fried cutlets. The place has been getting many praises from bloggers and foodies and their reviews certainly made me want to try eating there. I’ve been trying to eat there for a number of times already, but every time I go there, the place is packed with people. Finally, I had the chance to eat in Yabu for a late lunch. Hooray! If there’s one place in the Philippines that I’d love to go back to, it would definitely be Cebu – the Queen City of the South. I’ve only been there twice, first when I was in 7th grade and the second was more than a year ago with my college friends. When I was in 7th grade, my mother and I flew to Cebu to visit our boutique in Ayala Center. I remember having a pleasurable stay at the then Cebu Plaza Hotel. 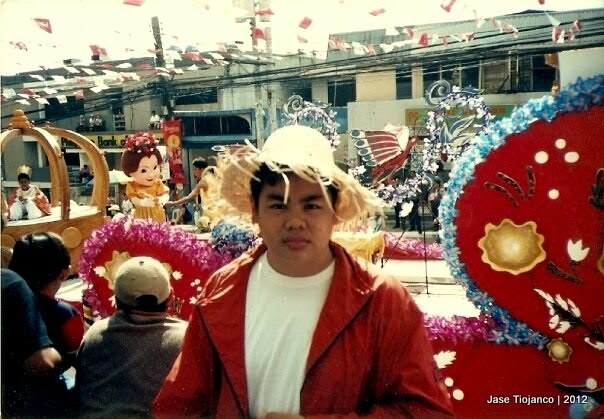 Our visit coincided with the Sinulog Festival 2002 so we were able to join in the celebration. 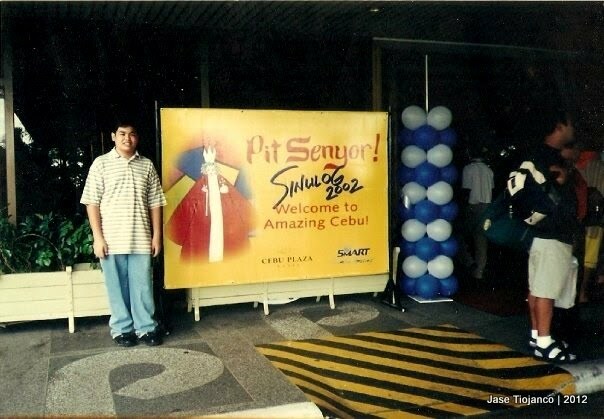 Photo was taken at the entrance of the Cebu Plaza Hotel. Just a few moments before this photo was taken, former president Gloria Macapagal - Arroyo entered the hotel. Why do I look sad in this photo? I guess it was because of the heat - and I'm wearing a jacket! Last September, I wrote a journal entry about Cebu Pacific giving us a free round trip flight to Laoag. We scheduled our trip early this month and here’s a gist of our experience in the beautiful capital of Ilocos Norte. Unlike in our previous adventures, we weren’t really prepared for our trip to Laoag. First of all, we didn’t do much research on what to see up north. As long as I get even just a glimpse of the windmills in Bangui, I’m happy. Also, we didn’t make any hotel reservation. I was pretty much worried on our way to Laoag since we might end up sleeping on the streets if the hotels are full. 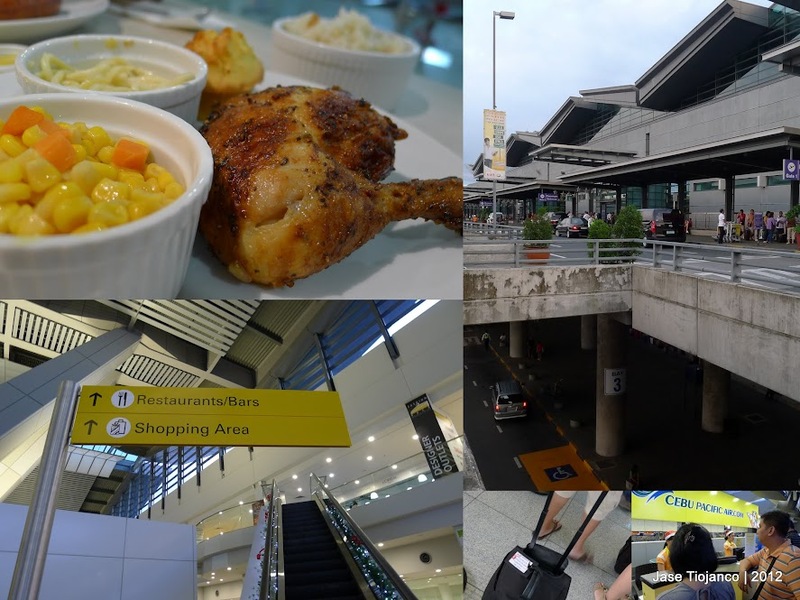 On the day of our trip to Laoag, we went to the Manila International Airport pretty early, pretty unusual given that most of our trips were photo-finish. We checked-in our luggage then grabbed something to eat at Kenny Roger’s.